The K2 Bottle Rocket Snowboard makes a park feature out of anything on the mountain. Built on a mid-wide outline, the K2 Bottle Rocket sits atop a BAP Core and Twin Rocker Baseline™ that make the entire resort feel like a skatepark. Ollie Bar™ and Triax ICG 20 Carbon Glass make the Bottle Rocket Snowboard poppy and energetic; while the Carbon Torque Forks™ increase edge grip and make for confident carves. We are K2 Sports, a coalition of iconic brands creating unforgettable experiences for outdoor enthusiasts. Each brand maintains its individual point of view and drives its own pioneering innovation. We fuel each brand’s mission with the collective strength of world-class development facilities, global distribution channels, and committed customer service experts. Together, we strive to progress the culture of the great outdoors. Our mission is to create the most innovative tools for our consumers to provide the best experiences, push the sports, and strengthen the culture. 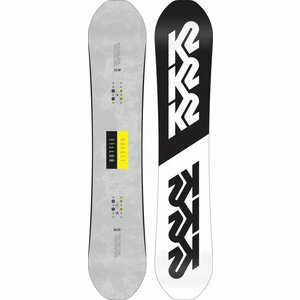 K2 was born in 1962 as America’s ski company on Vashon Island in Washington State’s Puget Sound. Renamed in 2003 as K2 Sports and now based in Seattle, the company today is an international portfolio of world-renowned brands recognized as leaders in the innovation, marketing, and quality of our products and services. Driven by a passion for our sports and enthusiasts, we make alpine skis, snowboards, snowshoes, in-line skates, and Nordic ski equipment, apparel, and accessories.